If people want me to make this for a smithing tree overhaul (I've looked at Ordinator and i don't think I can), feel free to ask. Is this compatible with Ordinator perks of Skyrim? Currently no, I've checked and there are a bunch of perks tied together in ordinator, and I don't know enough to try to separate them out, sorry. 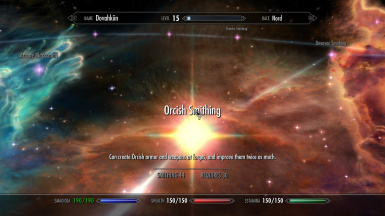 I would also like to know if this mod is compatible with Ordinator and if not will there be a patch for it.